It was one of those moments in American history that the people who were able to watch it for the first time felt like they were in a science fiction movie. But with televisions cameras on every move, the nation and the world watched on July 20, 1969, as three American astronauts landed on the moon. That phrase, which itself was carefully prepared, has a lot of wisdom in it. Sure, touching another world for the first time in human history was a tremendous accomplishment for America. But more than that, it signaled a new era for humankind everywhere. All of a sudden, the moon wasn’t a faraway myth, full of mystery and magic. All of a sudden, people everywhere felt like they too could touch the stars if they put out their best efforts too. It was also a huge moment for the unity of all people. Few things cause the world population to come together and link arms and be one people, not separate countries. Most of the time, it’s a terrible global disaster that makes us all bond together. But this time was different. This time it was a moment so phenomenal that everybody stopped and watched and everybody knew that this was not just a great accomplishment for three astronauts and scientists that put them there. This was a great accomplishment for mankind. American history is populated with tremendous events, both bad and good. 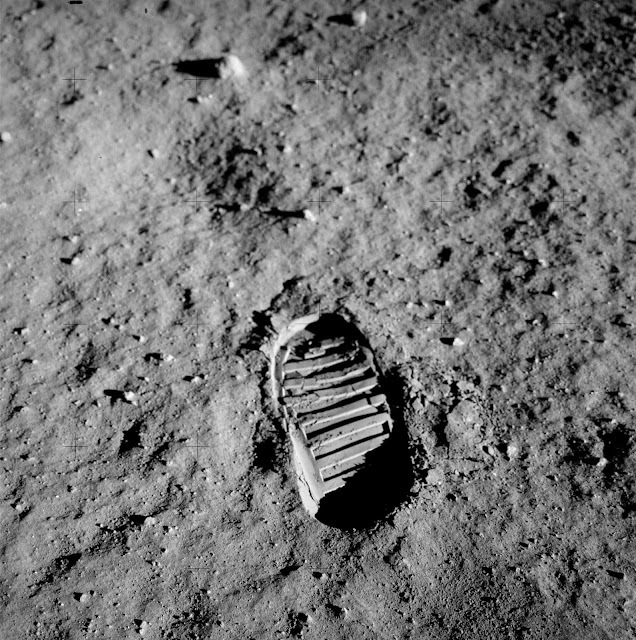 But it’s worth a moment to sit back and reflect on what the first moon landing meant and continues to mean for Americans and the American spirit. You have to wonder if any other nation would have had the ability, the creative powers, the powerful minds and the collective will to see this kind of amazing accomplishment through to success. It’s even more amazing when you remember that just a few years earlier, on September 12, 1962, that President Kennedy challenged American to rise to this challenge in a speech at Rice University. It takes a lot to make something as historic and earth-shaking as landing on the moon a reality and visionary leadership such as Kennedy showed that day was a big part of why this landing made history. This amazing achievement points out something outstanding about the American spirit. Americans are a people who dream big. And to land, a man on the moon took big dreams. But we didn’t just dream to put a man up there, it was not acceptable unless we got everybody home safely as well. For the most part, the American space program has had a phenomenal history of success in breaking through barriers that nobody had ever done before. Yes, there have been setbacks and tragedies along the way. But Americans are not quitters and through all the struggles we face, we face them together. But we never forget to look up at the stars and dream of the day that yet again we see an American set foot on another world and plant out the flag in that soil to be signal forever that America was here! It was one of those moments in American history that the people who were able to watch it for the first time felt like they were in a science fiction movie. But with televisions cameras on every move, the nation and the world watched on July 20, 1969 as three American astronauts landed on the moon. That phrase, which itself was carefully prepared, has a lot of wisdom in it. Sure, touching another world for the first time in human history was a tremendous accomplishment for America. But more than that, it signaled a new era for humankind everywhere. All of a sudden, the moon wasn’t a far away myth, full of mystery and magic. All of a sudden, people everywhere felt like they too could touch the stars if they put out their best efforts too. It was also a huge moment for the unity of all people. Few things cause the world population to come together and link arms and be one people, not separate countries. Most of the time, it’s a terrible global disaster that makes us all bond together. But this time was different. This time is was a moment so phenomenal that everybody stopped and watched and everybody knew that this was not just a great accomplishment for three astronauts and scientists that put them there. This was a great accomplishment for mankind. It’s even more amazing when you remember that just a few years earlier, on September 12, 1962 that President Kennedy challenged American to rise to this challenge in a speech at Rice University. It takes a lot to make something as historic and earth shaking as landing on the moon a reality and visionary leadership such as Kennedy showed that day was a big part of why this landing made history. This amazing achievement points out something outstanding about the American spirit. Americans are a people who dream big. And to land a man on the moon took big dreams. But we didn’t just dream to put a man up there, it was not acceptable unless we got everybody home safely as well. For the most part the American space program has had a phenomenal history of success in breaking through barriers that nobody had every done before. Yes, there have been set backs and tragedies along the way. But Americans are not quitters and through all the struggles we face, we face them together. But we never forget to look up at the stars and dream of the day that yet again we see an American set foot on another world and plant out flag in that soil to be signal forever that America was here!